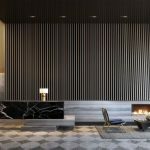 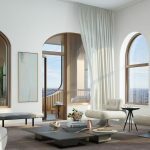 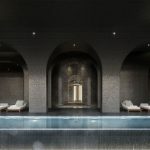 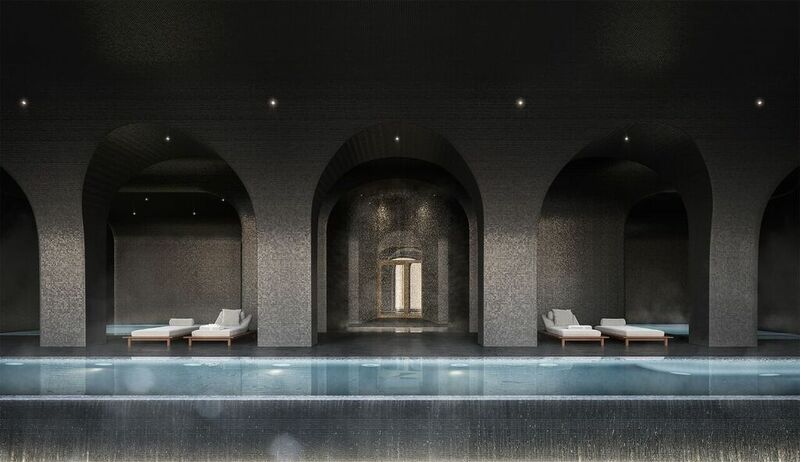 Sales launched this week for 130 William, starchitect David Adjaye’s first skyscraper in New York City. 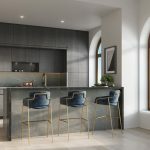 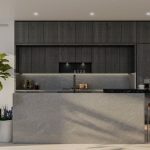 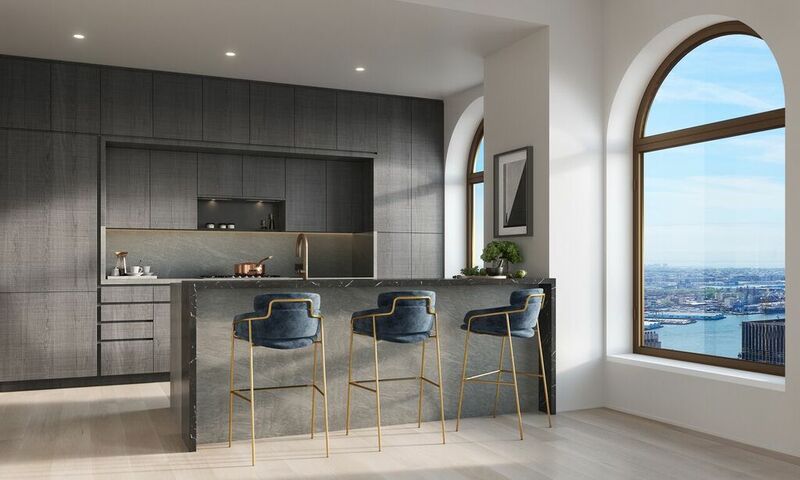 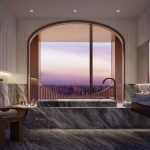 Available residences at the Financial District tower include studio, one-, two-, three- and four-bedroom condos, as well as and loggia/penthouse units. 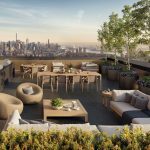 The apartments just listed range in price from $780,990 to just over $6.96 million. 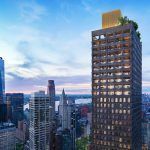 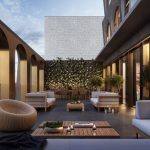 According to Lightstone, there’s been enormous interest in the building: over 30 contracts have been signed in under 30 days, over a year before 130 William is set to open in 2020. 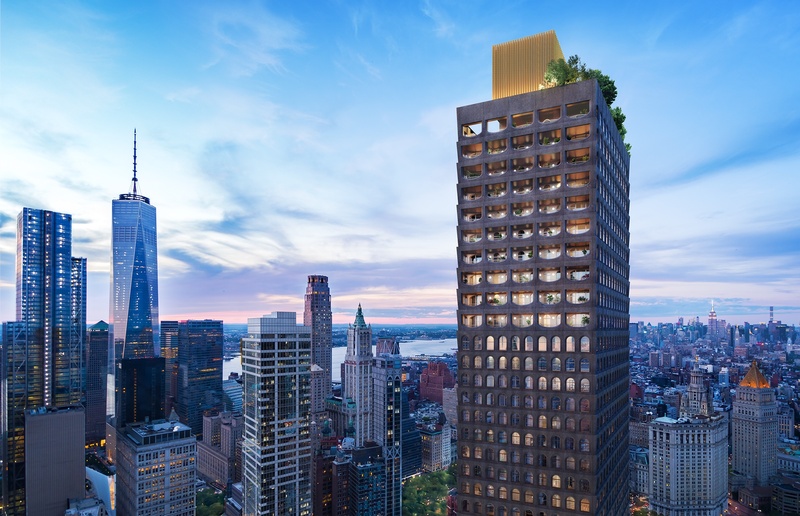 The tower will rise roughly 800 feet and 66 stories tall. 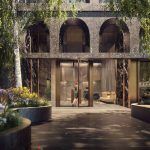 There will be 244 residences, over 20,000 square feet of amenities and a public plaza park designed by Adjaye. 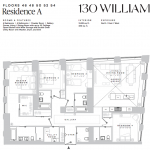 Hill West Architects also collaborated with Adjaye Associates on this project. 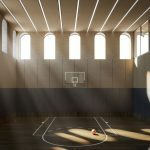 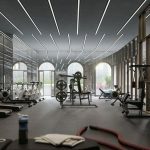 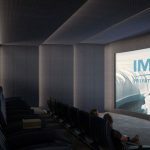 Luxury amenities include a fitness center and spa, a swimming pool, yoga studio, basketball court, a private IMAX movie theater, golf simulator, lounge, a game room and a playroom. 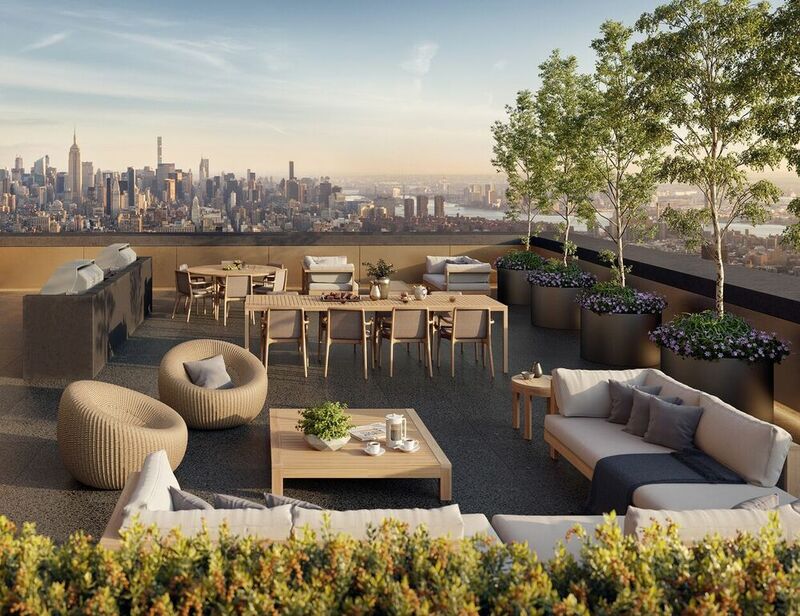 There will also be a rooftop observatory with grilling stations and private cabanas. 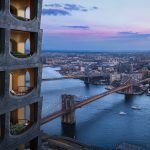 The lowest-priced unit available is a 435-square-foot studio for $780,990 on the 18th floor. 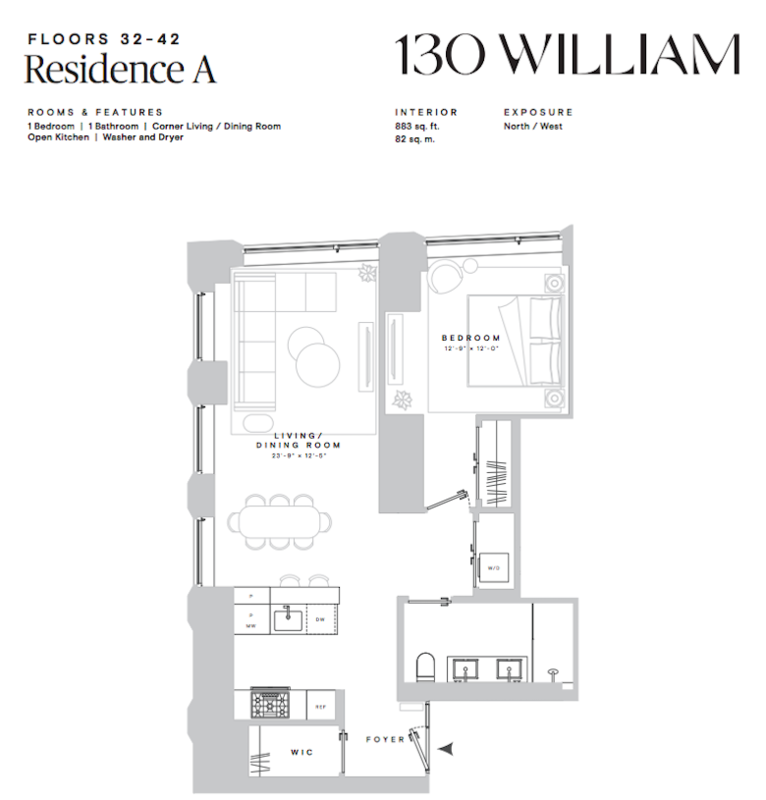 There is also a 622-square-foot studio open on the 17th floor, which is asking $955,990. 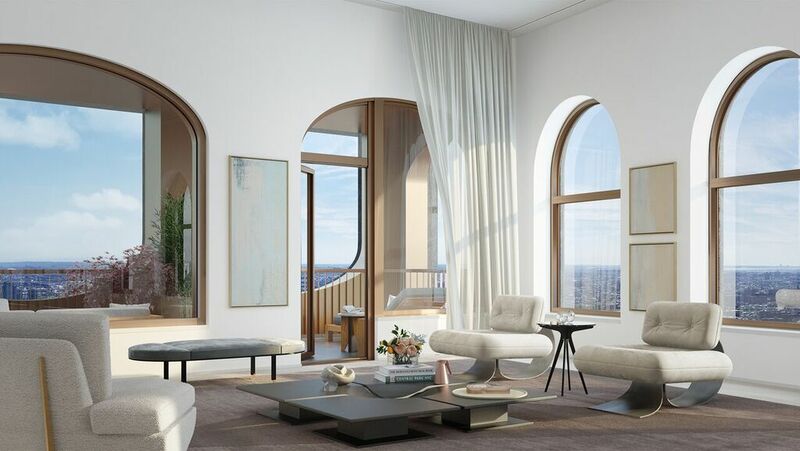 Currently, there are five one-bedrooms available, scattered between the 16th and 47th floors. 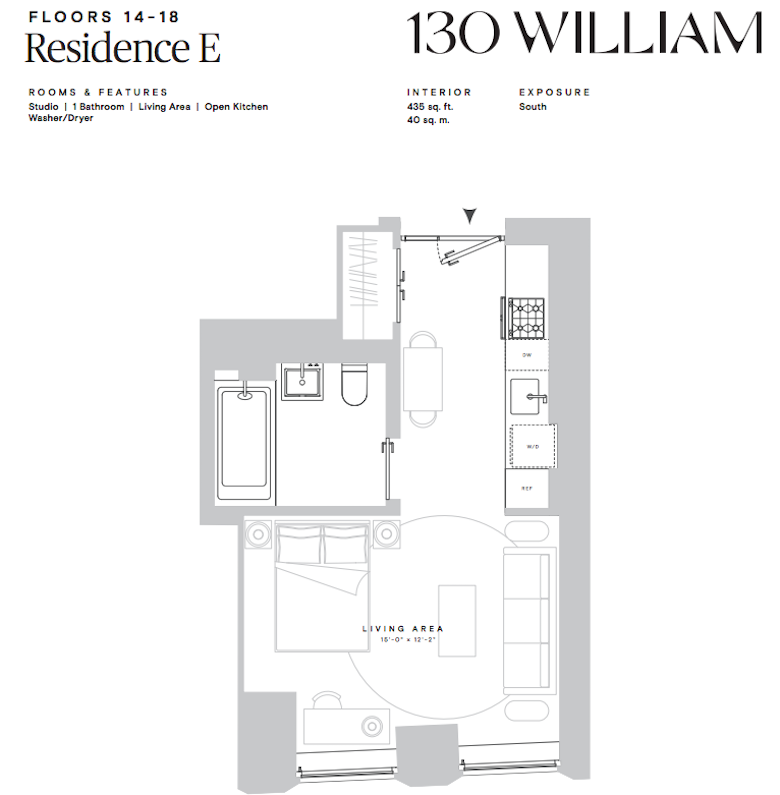 The smallest one-bedroom at 748 square feet is asking over $1.25 million. 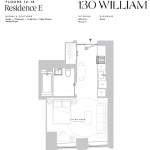 The most spacious, measuring 1,042 square feet, is listed at $2.49 million. 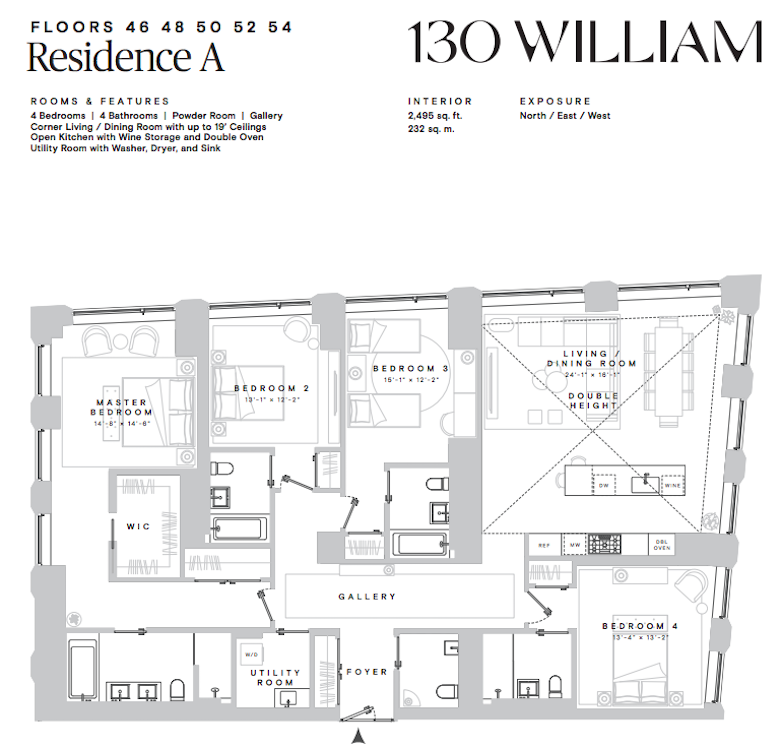 There is one four-bedroom apartment listed, located on the building’s 50th floor. 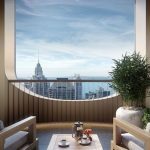 The 2,495-square-foot home is asking about $6.45 million. 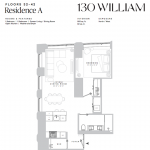 As the floor plan shows, this unit features a foyer and a gallery, four and a half baths and 19-foot ceilings in its corner living room. 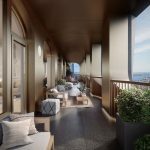 The top 10 floors will be home to the “Loggia and Penthouse” collection. 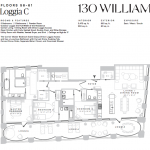 These units will have loggias that span the full width of the residence, ceilings as high as 11 feet, and east, west and south exposure. 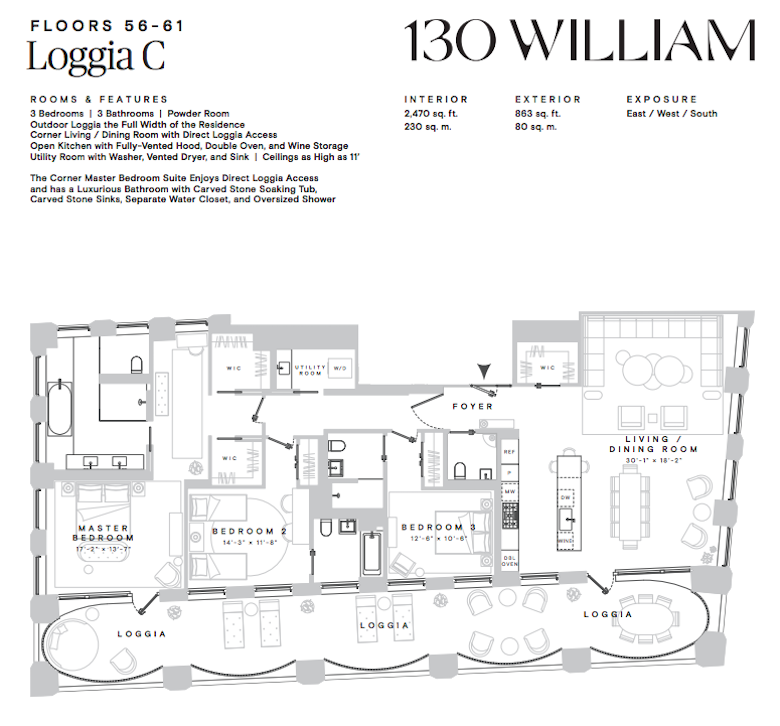 Loggia 59C is available, a three-bedroom, three and a half bath apartment which measures 2,470 square feet.